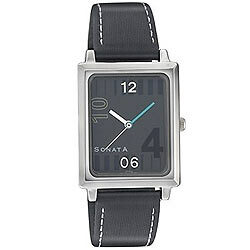 Send this Square dial in black combination with style for gents from Titan Sonata to your Mr. Handsome. This has 9 months warranty from manufacturer.